I am a great admirer of your country for its simplicity, aesthetic sense, its rich traditions and lately for initiating and propagating the revolutionary idea of GNH which has the potential to pave the path to sanity in this world fast hurling towards self destruction. Though we are still in a minority but many of us are realizing that the modern world does not have sustainable solutions to any of the crises which it has created in the last may be 300 years through this modern scientific path of ?development? it has chosen for itself. The modern man has created more diseases than has remedies for and the modern medical treatment is so expensive that it is out of bounds for the common man. Modern medicine has become a tool in the hands of the pharmaceutical corporations and insurance business. Modern medicine keeps banning the very products it was propagating as panacea a few years ago without even a word of apology. We are today polluting the entire planet ? earth, water and air, all. We produce more efficient cars but the number o cars are chocking our streets and the net result inspite of efficient machines and cars is increase in pollution. The weather is changing everywhere, sea levels rising, earth becoming hotter by the day. Despite all knowledge of modern science we have no solution. Take arms, a big business now. Countries are buying more and more arms for security but we are becoming more insecure by the hour. No one knows where the world economy, we should rather call it virtual economy, is going or how prices are fixed, how exchange rates are fixed. Every one talks of the US economy going down but the dollar keeps rising against world currency. A mystery no one wants to talk about. Unemployment is rising the world over, including China though we do not come to know about it. The rich are becoming richer and the number of poor in the world is fast increasing. I for one thought Bhutan would provide leadership to the world, in these times of deepening crises. The modern man is confused. He has lost faith, first through modern education in religion and traditions and now he is losing faith in the state, systems and even scientific discoveries as the new ones keep contradicting the old ones. Bhutan is a country which had faith. Tibet was another one but it has been devastated by modern imperialistic forces. 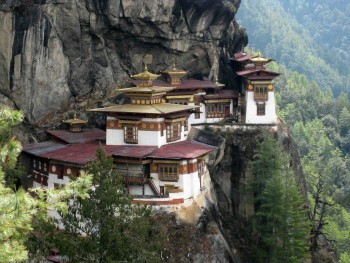 People like us were looking to these small but important islands of sanity like Bhutan to show us the path. But sir, I am disappointed to observe what I have been hearing and seeing last 5-6 days that I have been in Bhutan. I am an Indian and I am a teacher, if you like. I also write for national dailies a regular column (in Hindi, my language). This is just as an introduction. All said and done, I am an ordinary man who is concerned, is sensitive and is politically alive. I also keep myself informed a bit about what is happening in my country and in the world. I was invited here as a resource person (without any fee, on a voluntary basis) in a workshop on education in The College of Education, Paro. I have been talking to teachers, officials and other lay people. I hear words like ?development?, ?NFE?, ?vocational training?, ?secular?, ?5 year plan? and many others like that which I am so used to listening in India. I get a feeling Bhutan is going the same way we have gone in the last 65 years. Rather than learning from our mistakes you seem to be learning from us. We were colonized and when the British left they made sure they did not give us freedom but only transferred power to a ruling class who they made sure were colonized (in the mind) through education. Bhutan was never colonized if I am not wrong but you are now being colonized through the mind, in spite of revolutionary ideas like the GNH. Your systems and institutions are imitating the Indian ways. You are busy educating your people ? turning them into what, if I may ask? Mindless middle class consumers? Giving them aspirations that higher and higher levels of consumption will bring happiness, not respecting the ones who works with their hands? Is this what GNH is all about? Surely not. I also have a feeling your politics will go the same way. The system has brought about a highly corrupt officialdom and politicians in our land. Are you going the same way and much faster? I am a lover of your country and this is not a criticism but a warning. Kindly look within. Make people aware through education to make a distinction between need and want. Let them understand and respect what is of great value in their tradition. You are ignoring your dialects and languages. Everyone seems to be busy learning a smattering of English just like in India. How will you preserve your culture and tradition if your people start looking down upon their own mother tongues. Language is more than a means of communication, it is repository of values, traditional wisdom and culture. If you go after English the way you are going only an elite class educated in the US or in expensive Indian schools and colleges will become the next ruling class and you will keep harping about democracy. We have seen this in India and elsewhere. Do not let your languages die. I have observed people conversing in English but not able to express themselves well. This does not lead to creativity and original thinking. People become imitators, servile in front of westerners and those in power and oppressors in front of those who are below them in social or political hierarchy. I am seeing a tendency that your institutions are being increasingly advised by westerners. I have nothing against them as individuals. They may be all good and well meaning people but they get cultural values almost unknowingly with them and we have a tendency to give them a much larger listening and space than we would give to our own people even if they were competent and wise. These cultural values combined with our attitude of looking up upon them, without critically evaluating them has a devastating impact. Perhaps I have said more than I should as an outsider but at one level I feel close to you, hence have taken this liberty. You will take it in the right spirit. It is with a heavy heart I will go back. I wanted to write to your King but I have no access. I thought of writing to you as you also have great access to people of this country.